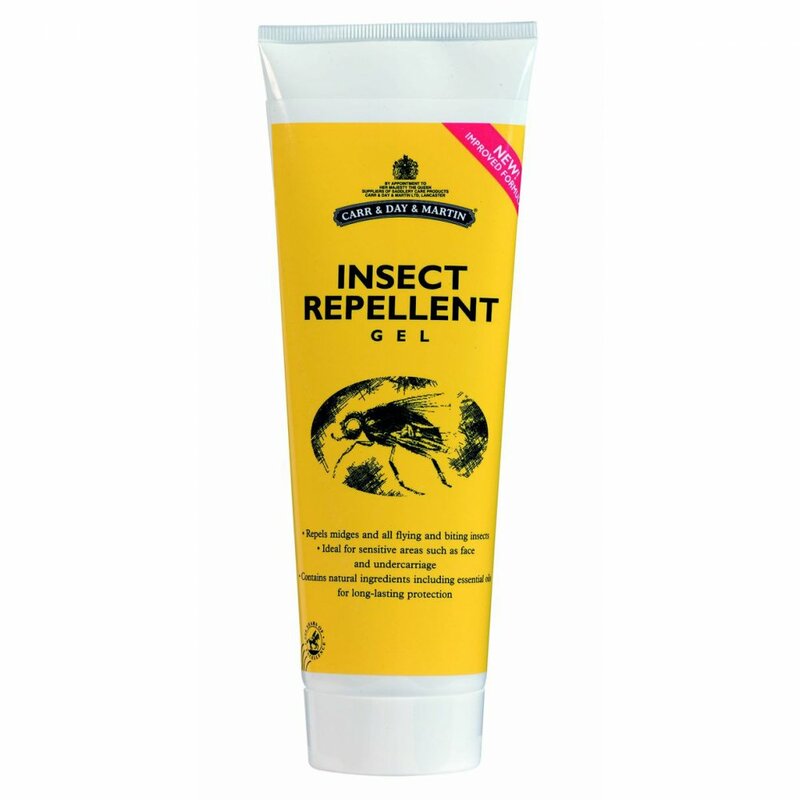 Carr & Day & Martin Insect Repellent Gel is a long lasting gel formulated to repel midges and biting insects naturally. This effective fly repellent gel is clear, quick drying, weather resistant and does not leave a residue on the coat. This natural fly repellent contains three key ingredients: Margosa extract, a natural insecticide that's also anti-fungal; Australian Tea Tree Oil which is both anti-bacterial and anti-fungal; D-limonene, an oil derived from citrus fruits with insecticidal qualities. Apply this insect repellent gel either by hand, with a cloth or with a sponge, and ensure you are careful around sensitive areas such as the eyes and mouth. This gel provides instant protection and should be applied twice a day for best results. We recommend doing a small patch test before using Carr & Day & Martin Insect Repellent Gel for the first time.